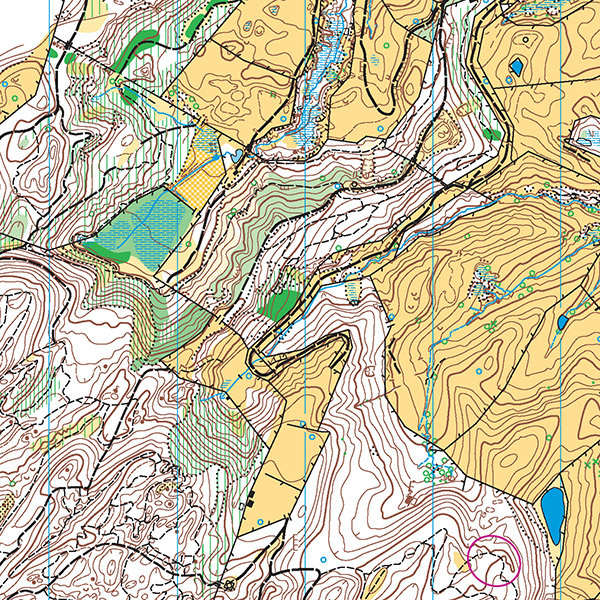 Orienteering (which originated in Sweden) is basically an individual cross-country running sport which involves map reading in unfamiliar terrain. Unlike a running/walking race/event, there are no tapes/signs telling you where to go - thats what you need to read the map for. 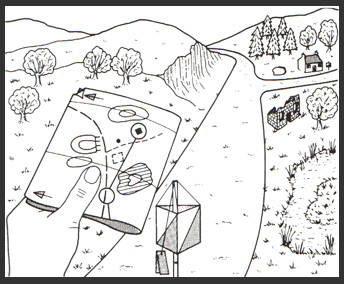 In many ways, orienteering is the perfect sport. It can be done at the most recreational level which would involve simply enjoying the outdoors while getting minimal exercise, walking, or it can be done at highly competitive levels, running, that require strength, stamina, determination, hours of practice, and fantastic mental abilities. 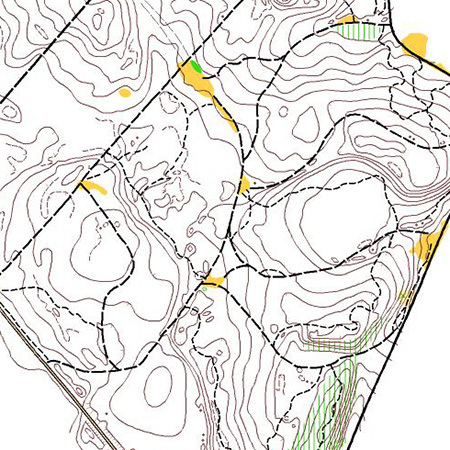 The objective with typical orienteering is to travel between a series of check points as quickly as possible. With a rogaine this becomes an objective to travel between and visit as many check points as possible in a given time frame. Choosing the fastest routes between the check points is the challenge, often the best routes are not the shortest or most obvious (e.g. taking a track around a piece of thicker forest, verses going straight through). 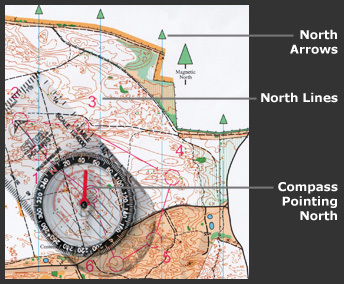 The other important aspect of orienteering is navigating to the correct spots on the map to find each control (check point). 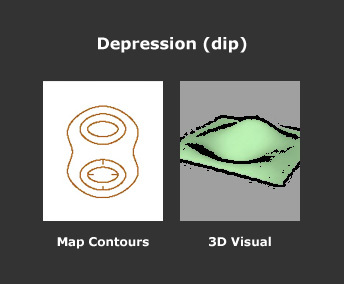 As a beginner you should look to use the bigger, more obvious features on the map (e.g. tracks, fences) and always check your direction using the compass. It is the person who can plan and execute the best route choices, and navigate to the centre of the circle on the map (where the control will be) that will come away the winner. On your map you will find a legend (or it will be provided separately). Below are the most common symbols you will come across and use to navigate so you can become familiar with them. Silva have a great explanation on how to use a compass. The map north lines are set to magnetic north, unlike topographical maps which are set to true north. The foot rogaine maps will be 1:10,000. This means 1cm on the map = 100 metres on the ground. 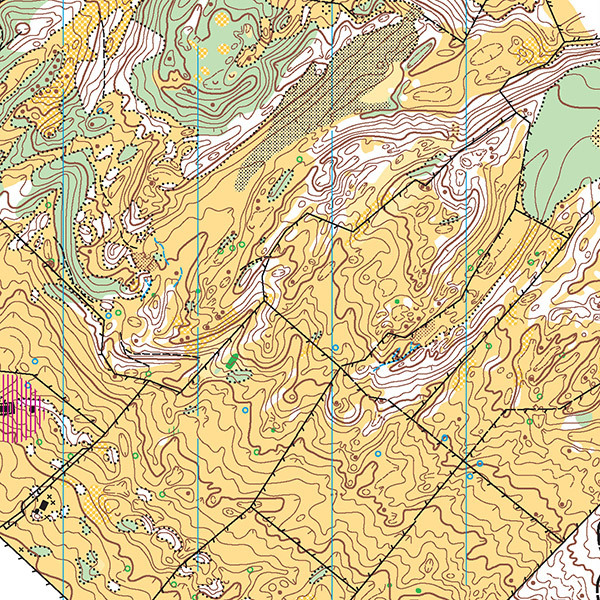 One of the mountain bike rogaine maps will be 1:20,000 which means 1cm = 200 metres. 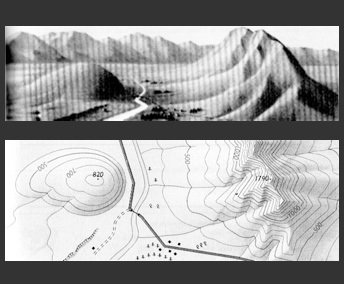 Contours are the brown lines on the map that show the shape and elevation of the terrain. If contours are close together, the slope is steep, if they are further apart the slope is more gradual. 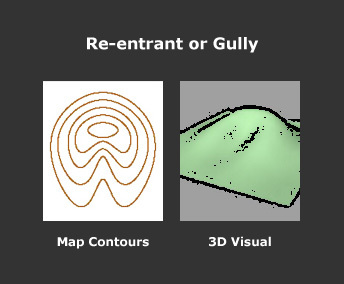 Most of the maps will have 5m contours, which means there are 5 vertical metres between each contour line.